Cover Story: Ready, jet-set, go! This article first appeared in Options, The Edge Malaysia Weekly, on December 3, 2018 - December 09, 2018. Halal tourism has become a significant part of the travel industry today, commanding 10% of the global market. Homegrown player ARBA Travel & Tours, whose co-founder Ammar Roslizar is a nominee of the Ey Entrepreneur Of The Year Malaysia 2018 programme, is quickly gaining ground with its strong digital presence and grasp of consumer tastes. Ahead of a gala dinner in Kuala Lumpur on Dec 6, when the winner will be announced, Ammar talks to Anandhi Gopinath about his journey in halal tourism, his passion for philanthropy and why even being nominated for this prestigious award is prize enough. 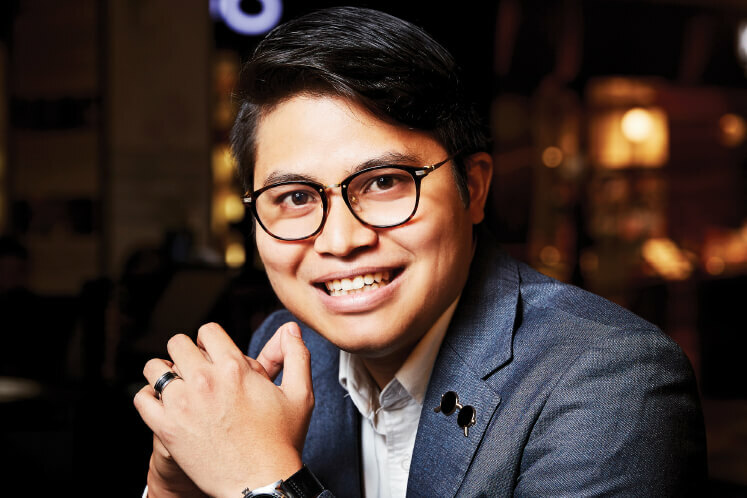 At just 29, ARBA Travel & Tours Sdn Bhd co-founder Ammar Roslizar is one of the youngest nominees of the EY Entrepreneur Of The Year Malaysia 2018 programme. Having agreed to meet for coffee and a chat in Bangsar Village’s Artisan Coffee Bar, I easily spot him as he gets off the escalator — a confident, eager smile and a well-chosen ensemble of jeans, shirt and jacket. He is late because his office was broken into that morning, but fortunately, the loss is minimal. “Almost everything is on the cloud,” he reassures me when I offer him the option of rescheduling. Youth is not wasted on the young, it seems — Ammar is an intelligent and well-spoken young man who was brave enough to grab a unique opportunity when he saw it, and has the results to show for it too. Founded in 2014 as a travel company specialising in halal tourism, ARBA has found its niche and grown into a major player in the industry. The company has surpassed the average growth rate of Malaysia’s top small and medium enterprises, and with a revenue of RM35 million this year, Ammar and his partners have made it to the Forbes 30 Under 30 (Asia) 2018 list. A nominee in EY’s emerging entrepreneur category, Ammar and his team are strong believers in business with purpose, and set up ARBA Foundation three months ago to help the needy in the communities in which the company operates. Headquartered in Kuala Lumpur, ARBA has three fully licensed offices in Kota Kinabalu, Seoul and Istanbul. For the full story, pick up a copy of The Edge Malaysia (December 3, 2018) at your nearest news stands or visit optionstheedge.com.